Why is April such an active month for severe weather? We are in the heart of spring season in the ArkLaTex, that means flowers are blooming, pollen is at an all-time high, and severe weather season starts to kick up. April is the most active month for tornadoes in our area. 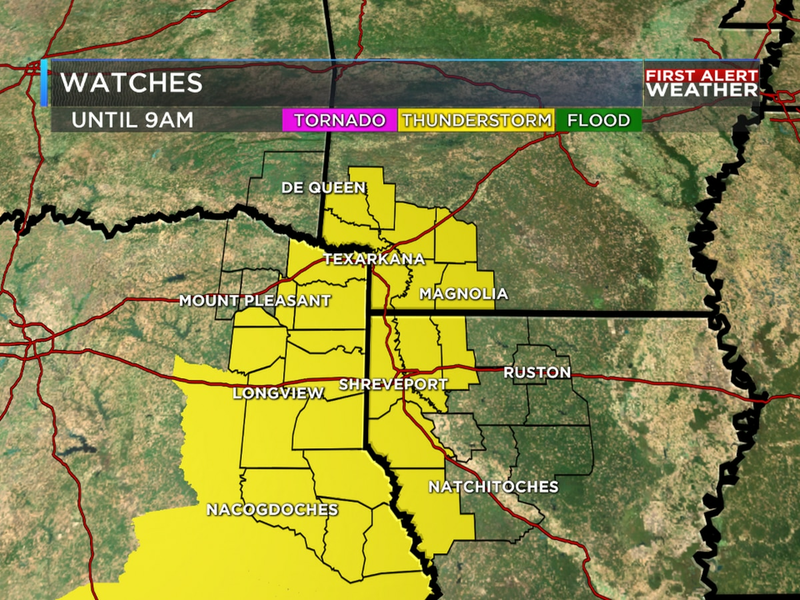 According to the National Weather Service, 70% of all tornadoes happen in the ArkLaTex between March and June. Why exactly is this? In the spring time, we have a lot more instability in the atmosphere. The jet stream, which is a large body of moving air located 6 miles above the surface, moves up to the north heading into spring. As it slowly makes it way up to the north, it takes the cold, polar air with. Because of this, temperatures can warm quicker. Warm, moist air from the Gulf of Mexico can also funnel in with this pattern. As cold fronts and other frontal systems move through the area, it allows a tighter gradient of pressure, which can cause high winds. It also the boundary between the cold and warm air, which in turn creates instability. As the Jet Stream continues to move north, so does the higher chance for severe weather. Going into May and June, the risk for tornadoes and severe weather shifts into the Great Plains and eventually the Midwest. 2018 overall in the United States was the least active for tornadoes. Although we were below average last year, April was still an active month. At this point last year, we were trending well below average. In 2019, we are still trending around 80 tornadoes below average. The trend for this year does look like it could be a little more active than last year. April 2018 was a very active one across the United States. According the Storm Prediction Center, there were 1,341 severe weather reports, with 146 being tornadoes around the country. If we break that down by state here in the ArkLaTex. In Louisiana, there were 147 severe weather reports, with 36 of them being tornadoes. Texas had 159 severe weather reports, with only 5 being tornadoes. Arkansas had 95 severe weather reports, with 15 being tornadoes. At this point last year, across the United States we had 561 severe weather reports before April 10th. 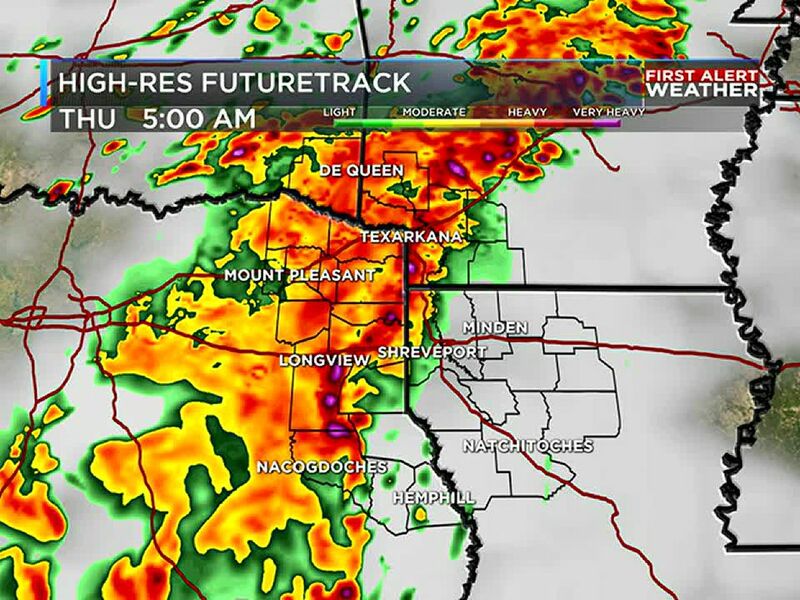 49 tornadoes were reported, with 2 of those happening in the ArkLaTex. So far in April of 2019, there have 32 severe weather reports across the United States with no tornadoes reported. On average, Louisiana sees around 37 tornadoes, Arkansas 33, Texas 140, and Oklahoma 56. Severe weather season is just starting though and this number can increase with just one bad storm system. Remember to download the First Alert Weather App to get the latest information when severe weather is in the forecast.